So do you want to know android 8.0 Release date in india ? If yes then you are at right place .Recently Google released the Preview of the Android 8.0 Oreo, latest Android from the Google. Android 8.0 is named as Android Oreo, in case you don’t already know. So in this Post, we will take a look at Android 8.0 Release date in India. But before that let’s first take a look at some of the Features that Android 8.0 Oreo offers to the Users. Android O will let the Users to Customize the Notifications as per their liking, they will be able to disable particular app notifications, even a particular Notification as well. They can choose the Color Scheme for the Notifications. They can also Set the priority of Notifications. Not only this User will be able to see the Notifications of a Particular app by long tapping on the App Icon which seems quite nice. You might have seen Autofill Previously in Web Browsers like Google Chrome. But with Android Oreo, User will be able to Autofill those even in the Apps. Fo instance, say You just opened your Twitter Account in Chrome and has saved the Credentials there and then you install twitter Application from Play Store, then the app will autofill your Login Credentials. Picture-in-Picture mode means that the user will be able to Multitask two apps at the same time. Similar to what you do in your Smart Android TV. The Icons in Android Oreo has been changed. This time the icons look Adaptive and Materialized which give Android Oreo, a very Nice User Interface. Old Android Emojis doesn’t look good, some might agree that they look Ugly. But with Android 8.0 Oreo, the Google has decided to change the Emojis and has replaced them with New Much Better Looking Emojis. 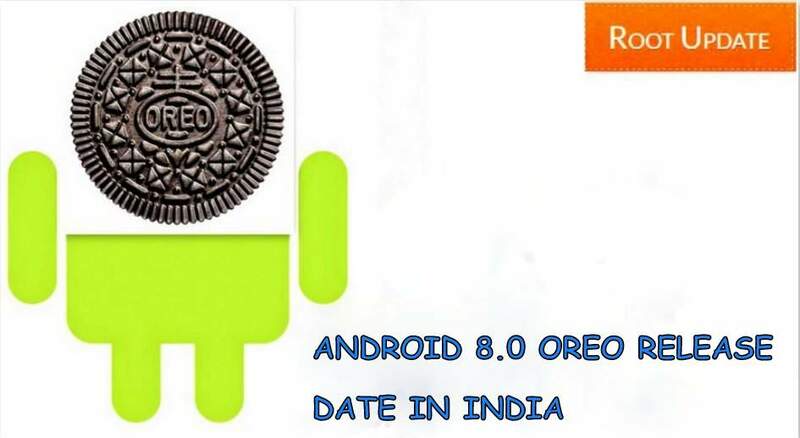 Now when we have seen the Features of the Android 8.0 Oreo, let’s take a look at it’s Release Date. Google made Android 8.0 Oreo Beta Public at I/O on 17th May. Considering that we expect Android 8.0 Oreo to relese on 27th May,2017. The date is not officially confirmed yet. We will notify you once we get any official Announcements. So, that’s it, that was our Post on Android 8.0 Release date in India. In case you have any questions for us, you acn leave them in the Comments below.